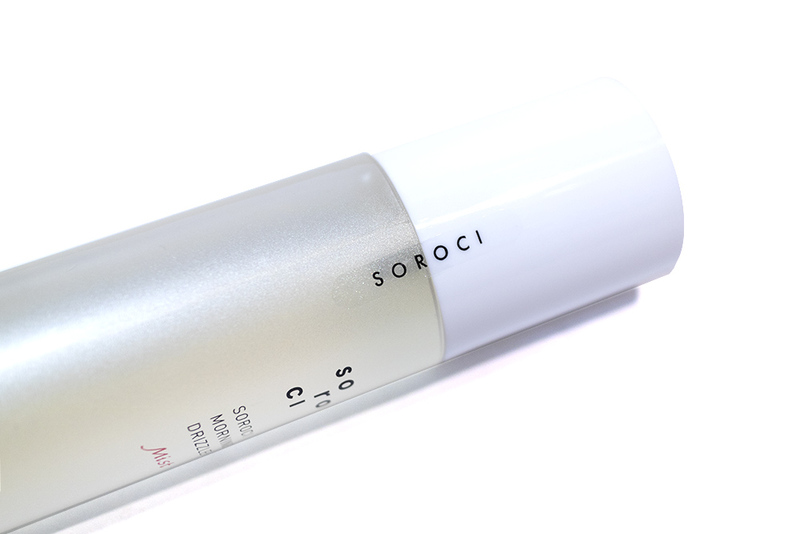 Review & Spotlight: Soroci (Available at Style Story) – Oh My Stellar! These products were provided to me by Style Story for my honest review. Affiliate links are not used in this post. 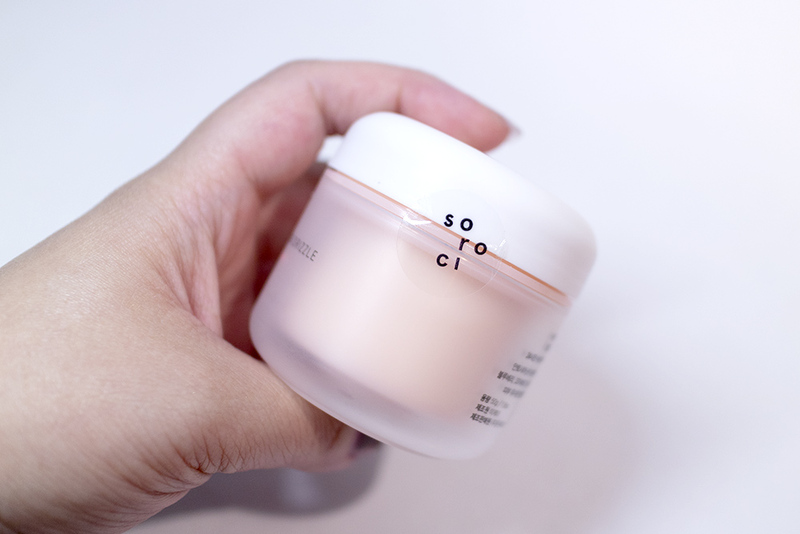 It’d been a while since I tried out some new Korean skincare (as I’ve mostly been sticking with what works to try and re-balance my skin breakouts) but I’ve been using products from Soroci since I had them sent to me and, finally, I feel like I’m ready to write this post! I’ll be doing a quick review on all three of these new releases but, since they are also a relatively new indie brand, I wanted to write this as an introduction. This brand launched at Style Story earlier this year and they sent the products to me a few weeks ago to get my impressions and honest opinion. As I was testing these products, I worked them into my current skincare routine (which is highly simplified because of my use of acids) and also used them according to the recommendations. Essentially, I used their toner daily, and then either cream depending on the time of the day and my skin needs. 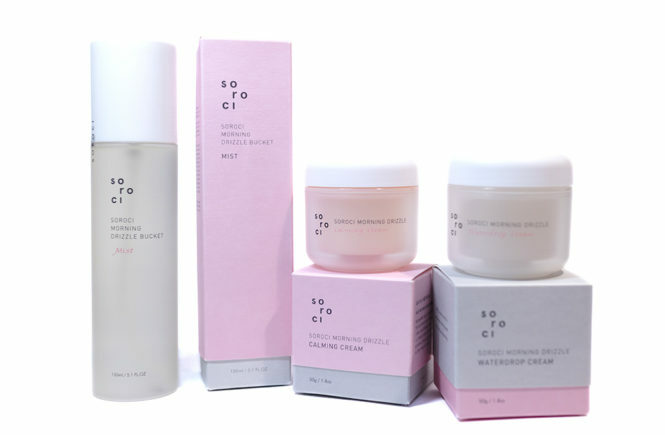 Most of my skincare routine had been replaced with Soroci these past weeks and, while they don’t have dramatic results, I find that their products are really nice and gentle. They also combined well with my acids (mostly the Alpha-H Liquid Gold), which is definitely a plus. 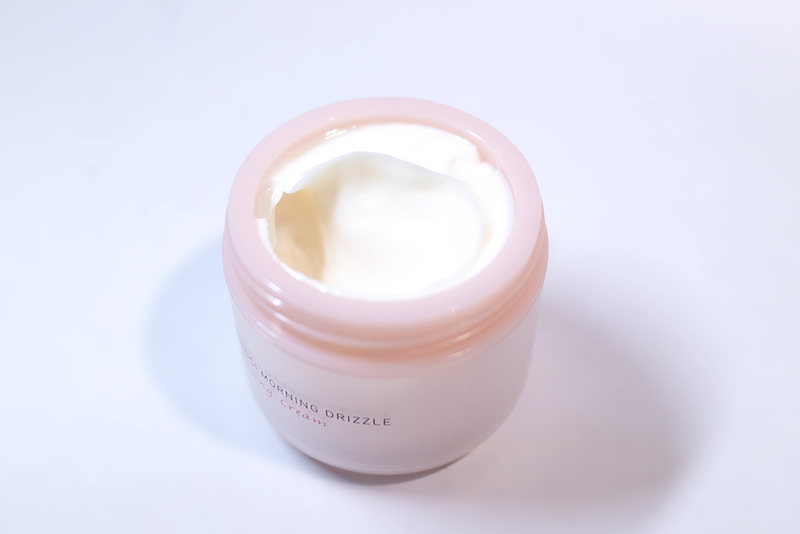 So, I’ll be showing you three products from their Morning Drizzle line – the Morning Drizzle Bucket Mist, Morning Drizzle Waterdrop Cream and the Morning Drizzle Calming Cream. So, let’s jump right into it! 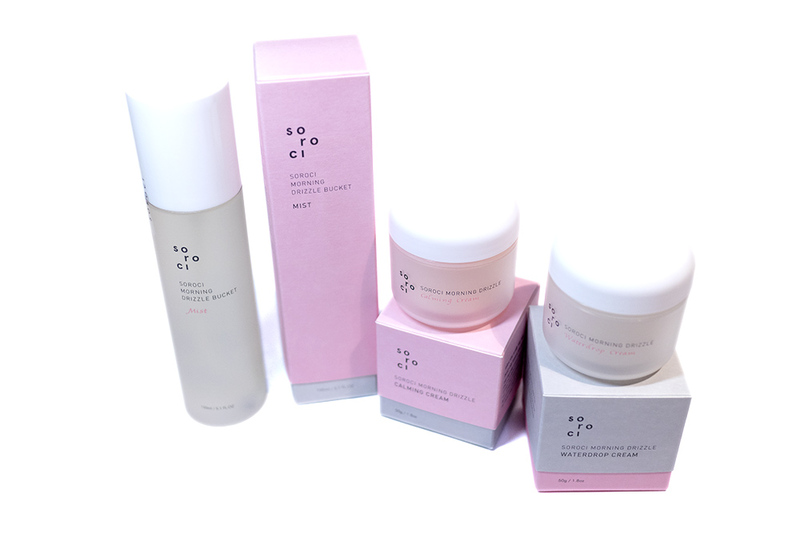 Soroci is a natural Korean brand, focusing on relaxation and the “natural beauty of southern Korea”. 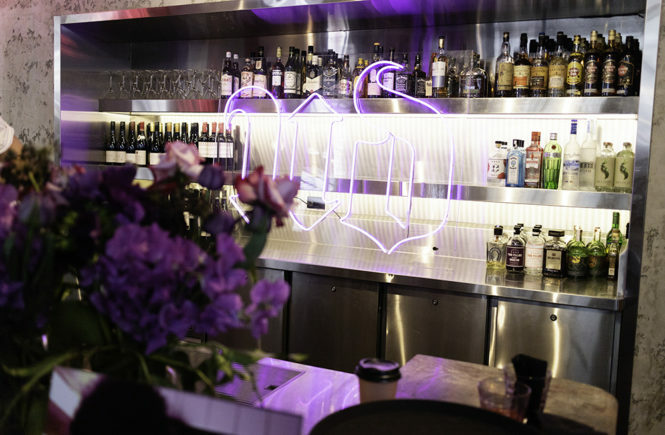 Keeping in mind that most of us – me included – are living such fast paced and busy modern lives, the brand aims to bring people back to a simpler and slowed down lifestyle. Their products are cruelty free and vegan too, which is a definite plus! 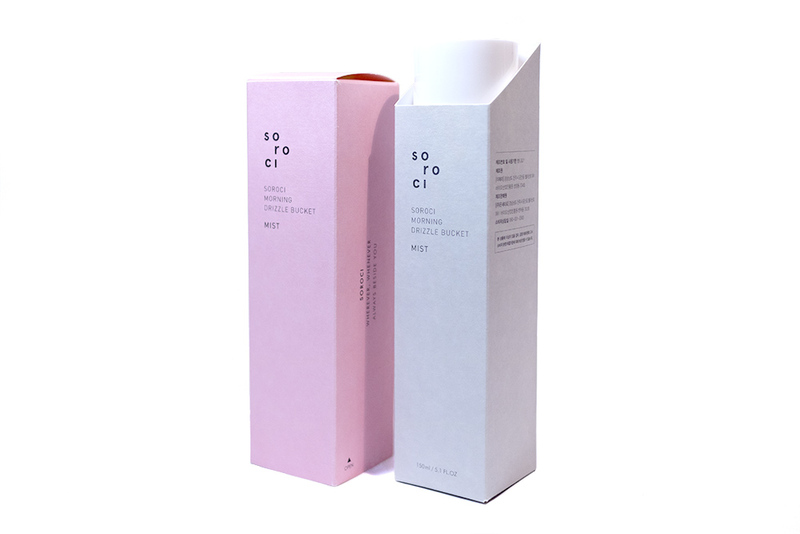 From what I can tell, Soroci is in independent brand – something that definitely reflects not only in the careful quality of their formulas but also the beautifully crafted design of their packaging. Overall, their brand has a very exclusive and luxe feeling to them. I can tell that they’ve invested a lot into the design of their brand identity, and I really respect that. 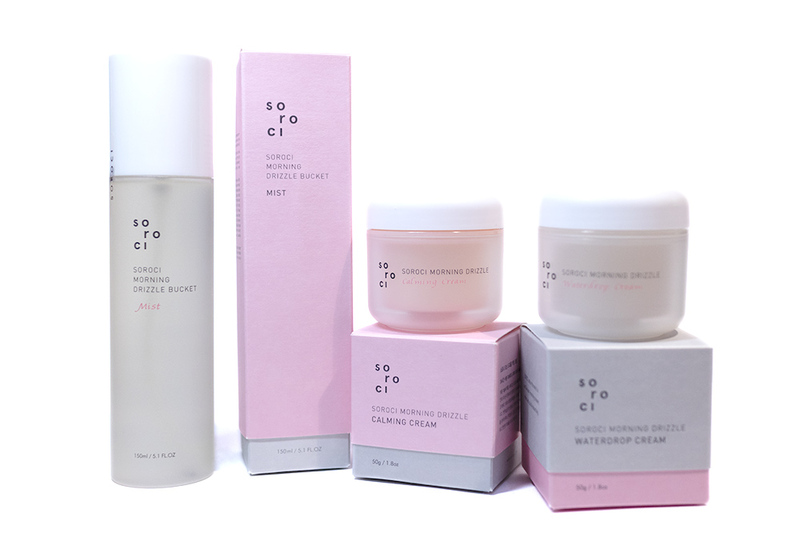 From my first impression, I was really happy with Soroci (I just love their concept, their design, their packaging and all) so I’m also really glad that their formulas lived up to it too! Let’s delve into the products now. 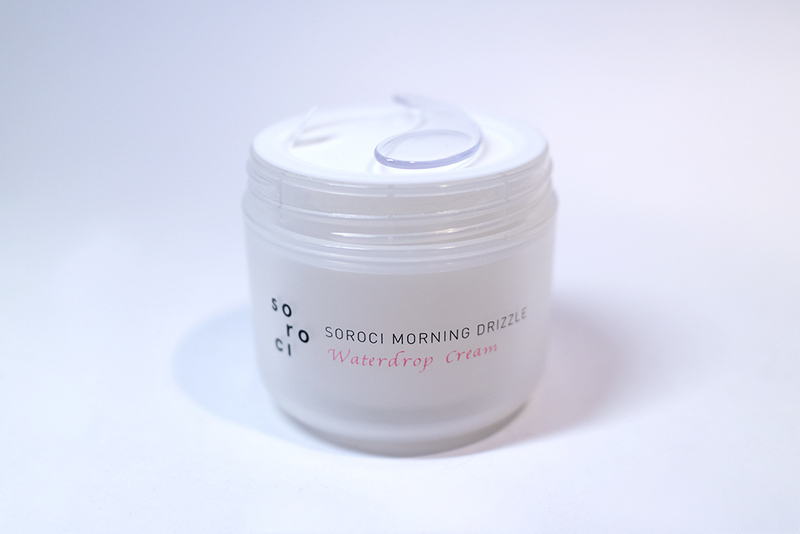 Soroci’s Morning Drizzle Bucket Mist + Toner is made from 100% natural ingredients. Infused in Edelweiss Flower Extract, which is good for sensitive skin while feeding moisture back into tight and dry skin. The pH level of 5.5 is the most ideal for maintaining a healthy skin. Witch Hazel: can have potent antioxidant properties and some soothing properties. Betaine: a humectant and anti-irritant. Apricot: may assist in keeping skin smooth. 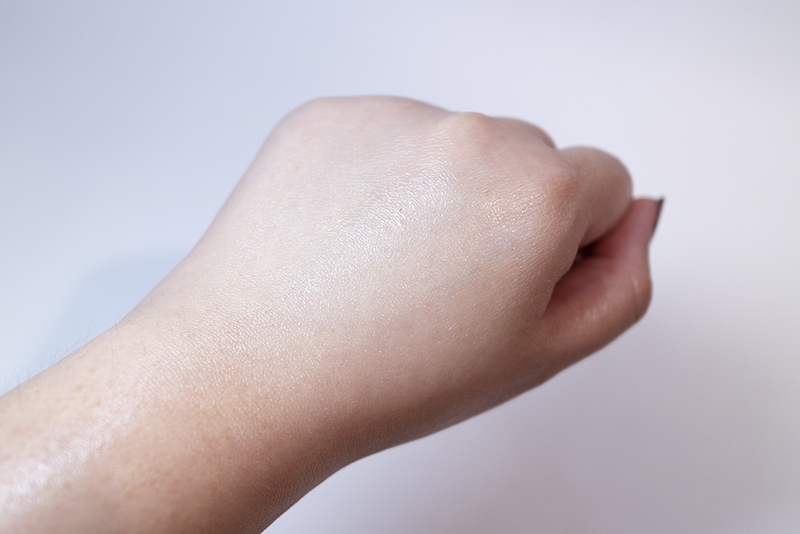 Sodium Hyaluronate: a skin hydrating ingredient. Liquorice extract: may offer brightening benefits. Edelweiss extract: an antioxidant that can assist to strengthen skin. Obviously, Sodium Hyaluronate is my favourite here (although the liquorice and edelweiss extract is also interesting). It is a ‘salt’ of Hyaluronic Acid and the two terms are usually used interchangeably in the context of beautyproducts – this ingredients will help your skin to retain moisture, which is especially great for those with dry or combination skin. It is selling at Style Story for AUD$25.95. So the packaging of this mist is really simple but I love it! It comes in a tall cardboard box with an angled cut. This style is carried out throughout the Morning Drizzle products, so I won’t keep talking about it. In general though, I think it’s really simple but also eye-catching and innovative. I like that their packaging has a very sleek and modern feel to it, feels like its high quality and doesn’t rely on any gimmicks. Opening it up, you get a full 150mL bottle with a plastic cap and a frosted semi-opaque body. It looks really cute and feminine. I especially like the small touch of a pearl finish and the little branded seal. The bottle is relatively light but, since this is fairly large, I wouldn’t recommend it for travel. It is sturdy though so, if you insist, it is still possible (just make sure it’s in your check-in luggage, please). The formula of this spray is very lightweight and absorbs easily into the skin. 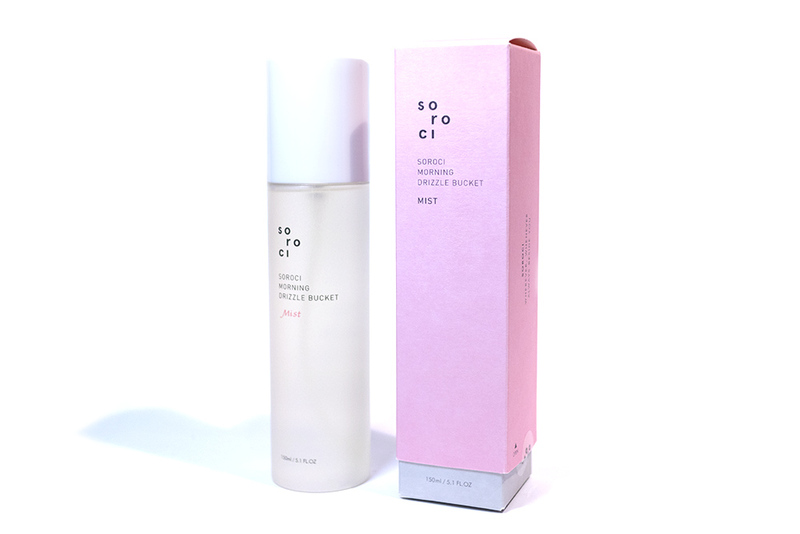 It doesn’t leave any stickiness but instead gives the complexion an instant boost of hydration and a healthy glow. This is great to use as a toner or if you’re in a rush in the mornings. 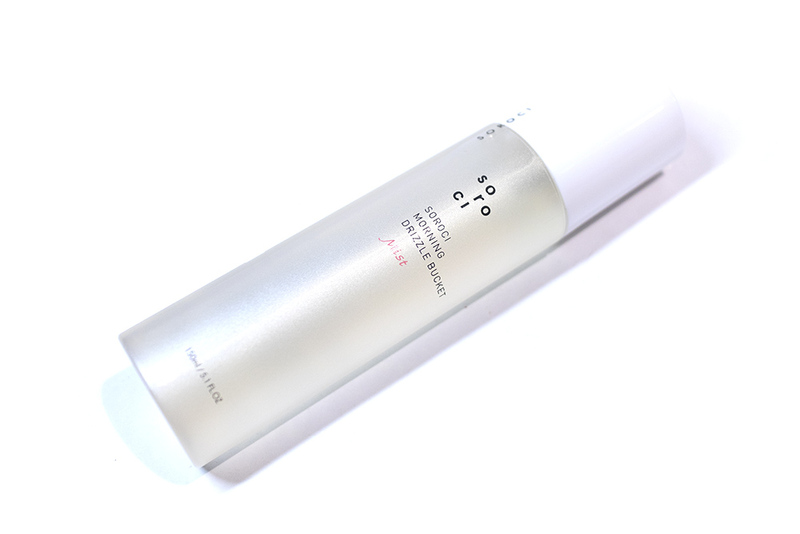 The product is also easy to layer up if you’re wanting to do a multi-toner skin routine. That being said, the spray nozzle is pretty intense! I don’t mind it when I use it on bare skin, as I find mists that are too soft feel like nothing, but I don’t use this on top of my make up. It’s very easy to accidentally drench yourself or smear any eye make up so, if you want to use this during the day, it’s best to use when you have little to no make up on. I’ve been using the Bucket Mist every night and I enjoy it! It’s definitely doing a good job at rehydrating and refreshing my skin. I also like that it’s formulated at pH 5.5 so I can use it after any clay masking (to rebalance my skin). This product has no artificial fragrances, so instead just has a mild and natural scent that is pleasant and fades quickly. This would be suitable for people sensitive to fragrances and scents. I’ve been using it once a day but multiple times over the weekends (when I don’t wear make up). This is a product that I would recommend and also consider repurchasing. My only concern is that I go through mist bottles very quickly. 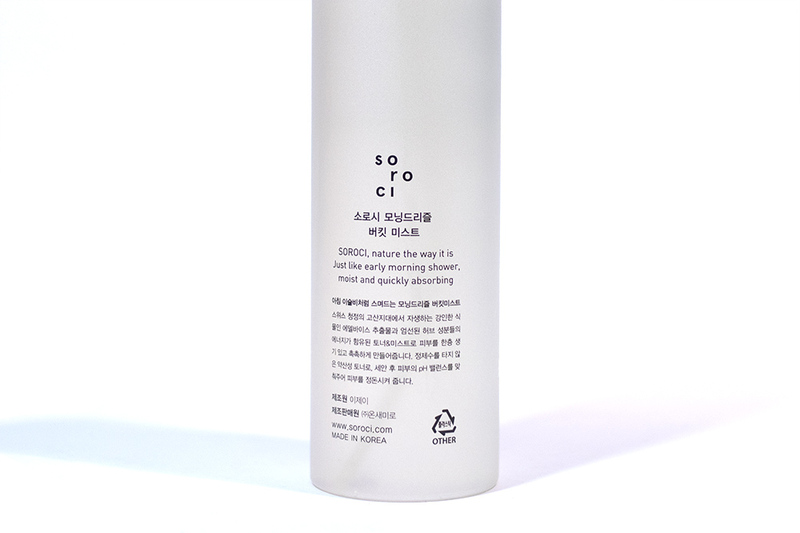 At AUD$25.95, it isn’t a cheap purchase but I can justify it since this is a toner rather than a regular mist. THOUGHTS? I enjoy this product and I’ll definitely be using up the rest of this bottle! It hydrates my skin really well and the formula is also simple enough that it doesn’t irritate at all. I can definitely notice the witch hazel and sodium hyaluronate at work, though I don’t think I got any skin brightening benefits from the use of licorice extract. Overall, this is one that I would recommend! It can be a bit pricey if you’re comparing to some cheaper, road shop (or drug store) brands but it’s still a fair price. I would recommend it for all skin types (dry, combination and oily). This calming cream is recommended for the night time routine, as it is a slightly thicker cream that will soothe and hydrate your skin. 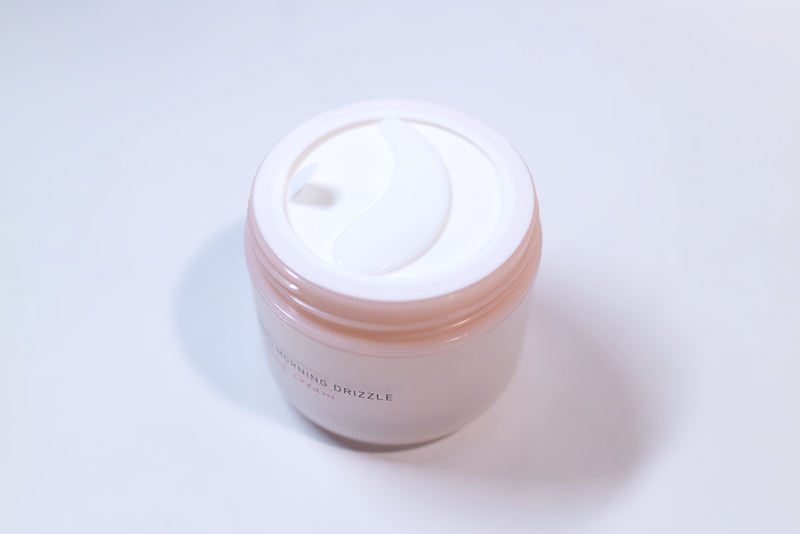 It is a gentle product with a smooth, creamy but still light texture that absorbs well – though it is on the richer side, hence why I wouldn’t recommend it underneath make up unless you have dry skin. That being said, the ingredients are EWG certified and this product is recommended for all skin types (sensitive, normal, oily and combination) – strangely, I don’t see dry skin on the list but I personally believe that it would suit drier skin types too. Adenosine: a skin soothing and restoring agent that is beneficial for all skin types. Beeswax: a humectant that helps attract water to the skin. Shea butter: a nourishing ingredient that make the skin supple by providing hydration. Jojoba oil: a natural ingredient that provides lasting moisture. This cream comes in a 50g tub which, similar to the mist, also has a frosted semi-opaque glass and a white cap. 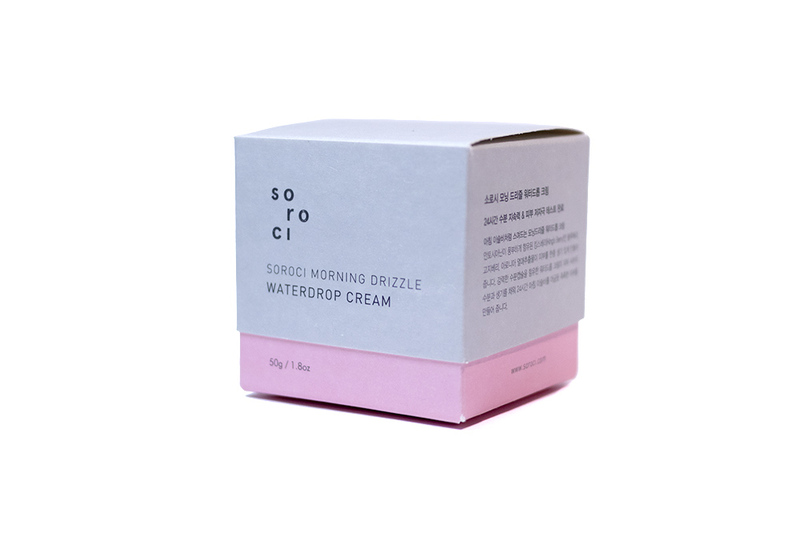 This one also have a soft pink case inside of it, possibly so it is easier to discern this Calming Cream from the Waterdrop Cream (since the pink text isn’t super legible). This packaging is lightweight and I like the design of it, which is still quite simple and elegant. However, it doesn’t have that same luxe feel as the mist – and I can’t quite put my finger on why. Opening it up, you’ll find the included spatula which is housed inside of the cap. There is also a seal over the product and this excited me a lot when I saw it. That’s because this is the first time that I’ve seen one of these protective seals that actually seals up! It almost clicks into place so you can keep your product airtight and fresh for longer. This is actually genius and I feel like it will also reduce the risk of spillage if you take it travelling. As I previously mentioned, this formula has a slightly thicker consistency. It is definitely a cream in that sense. 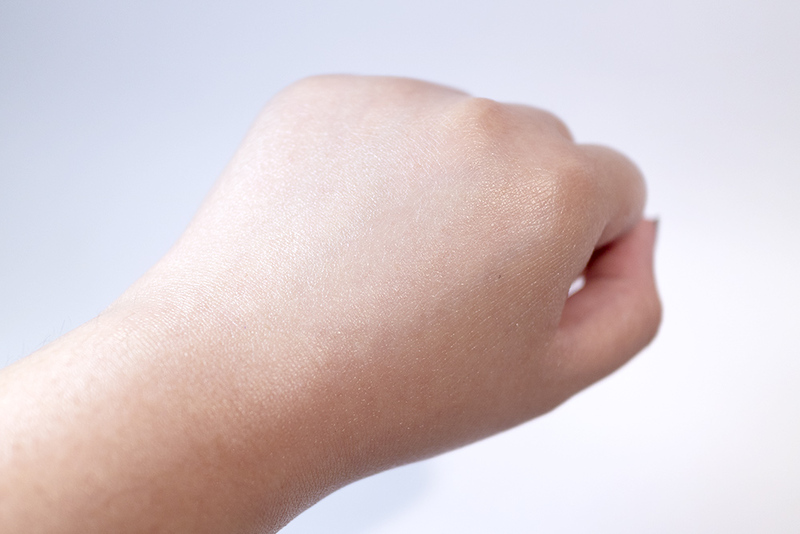 However, it is still light and easy to tap into the skin. It doesn’t leave a residue but will leave a slight oil on your complexion for a bit (due to the shea butter formula), which is why it is recommended for night time use. 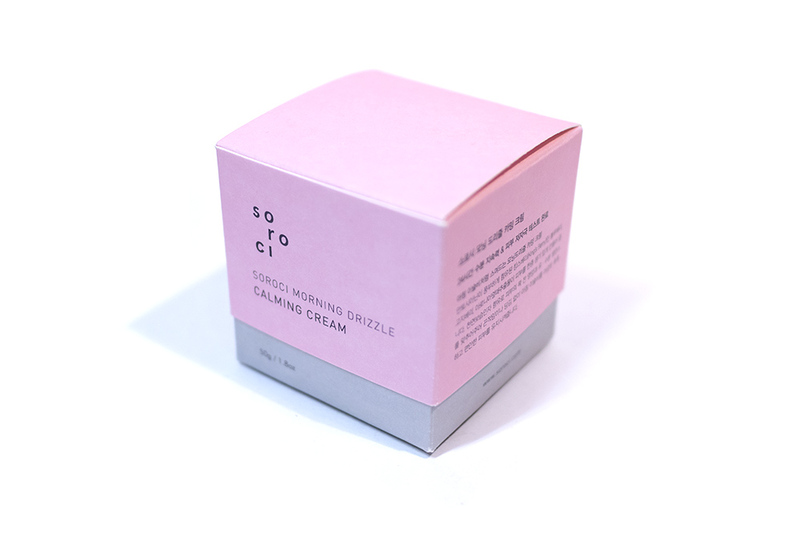 The main ingredients for this cream aim to soothe, hydrate and nourish skin – and this product is really good at that. When ever I use it, I feel like my skin is instantly more supple and moisturised. Having it on through the night, I feel that I also wake up with softer skin and a more ‘fresh’ complexion. I like that it’s very gentle and soothing, so I am comfortable applying it over my problem areas (i.e. break outs) and it will more irritate my skin at all. Similar to the others in the range, this product also have no artificial fragrances. Instead, you will notice the natural scent of the shea butter (and maybe the jojoba oil) though I feel like it seems fresher and lighter than other shea butters I have tried. I personally find the scent really relaxing and pleasant. It isn’t overly strong either. This cream has worked it’s way into my routine so naturally and I feel like it is there to stay! Even though it is getting hotter in Sydney now, we still have some colder nights when I want some extra care for my skin (as it gets hot, I will likely use more gel-water type formulas). The scent is really nice and I find the formula really gentle, as well as easy to use on top of other skincare products. When ever I use my Alpha H Liquid Gold, I will apply this cream lightly to most of my face (except for the chin area where I want the acid product to ‘work more intensely’). I use this product primarily at night and I don’t feel like it would suit day time use, especially not for my skin type. Price wise, this product comes to AUD$32.95 which is more than I would pay for a road shop brand, and is closer to the mid-range level. Personally though, I think this price point is pretty decent and I feel good spending just a little more money on skincare. THOUGHTS? This is definitely a highly rated product from me! Although the skin benefits that it provides are relatively basic (hydration and soothing are key in most creams), they are also essential to great skin health. Sometimes, I just want something that is easy to use and works so I know it won’t clash with anything else in my routine. The simplicity of this product means I would also highly recommend people to try this out – no matter what your skin type is. I’ll be using up the rest of this tub and will definitely reconsider repurchasing this exact one. 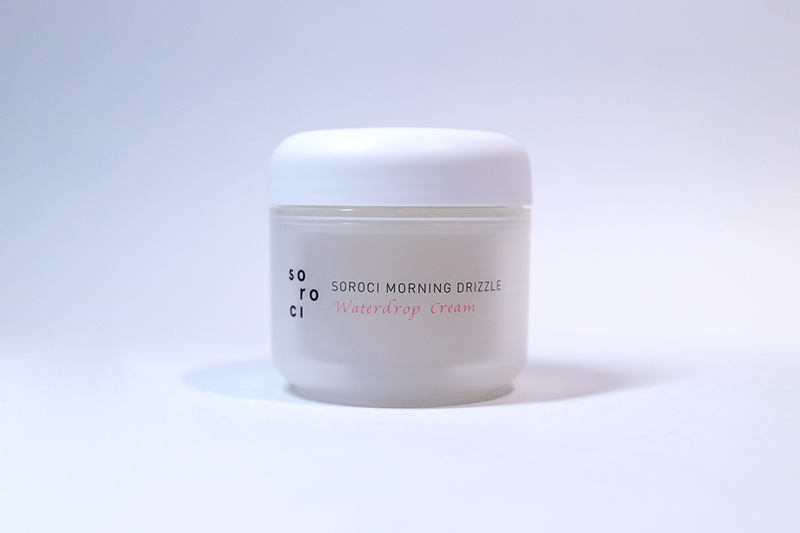 And lastly, we have the Waterdrop Cream, which is recommended for the daytime skincare routine. This product is described as a lightweight moisturising cream that claims to ‘release water droplets’ which it is applied to the skin. 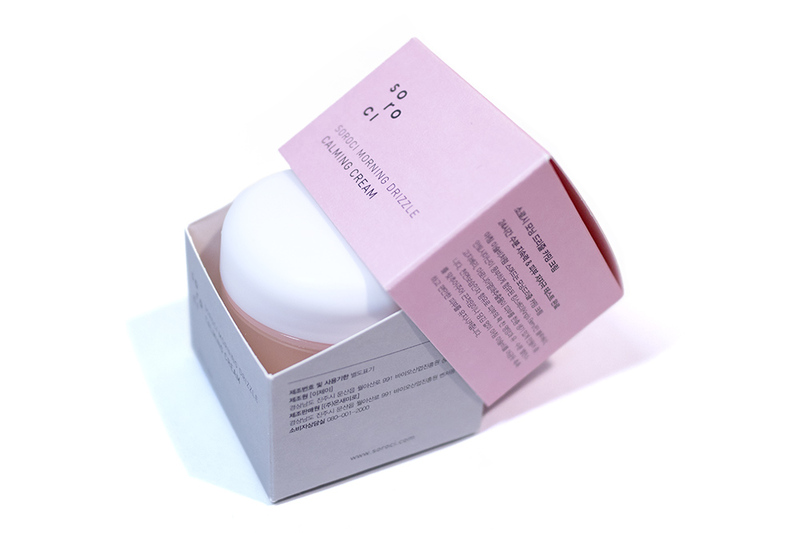 Similar to the Calming Cream this product also claims to provide hydration which being gentle on skin, have many natural ingredients certified by EWG, and also to be quick to absorb. Squalane: a highly-effective emollient and natural antioxidant. 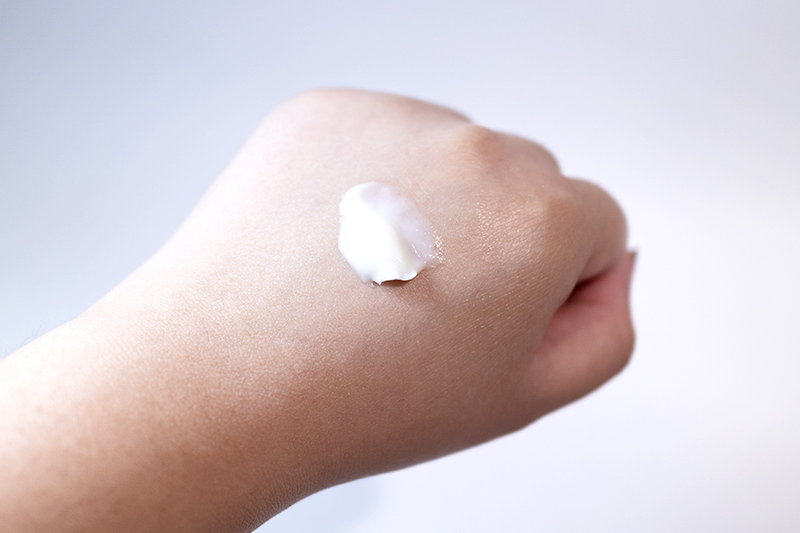 Pearl extract: antioxidant, brightening, and firming properties. Blueberry: contains antioxidants as well as vitamins A and C.
It also contains no artificial fragrance and I don’t notice much of a natural scent either. This product has a really unique texture in that it is very thin and liquid-like. However, it is still somewhat solid… sort of like half melted ice cream, if that makes sense. This texture makes it just a little bit tricky when you’re first dotting it onto the skin, as it is possible for it to drip. You just need to be more careful. The cream is easy to pat into the skin and absorbs completely, leaving your skin looking fresh and hydrated without any oiliness or residue. It is definitely perfect for use under make up. However, some of their key ingredients claim to be brightening as well and I don’t really notice this benefit. My complexion definitely looks dewy and supple after using it (naturally), but it does not give me any other glow aside from from hydration. It also does not help to even out skin tone either. 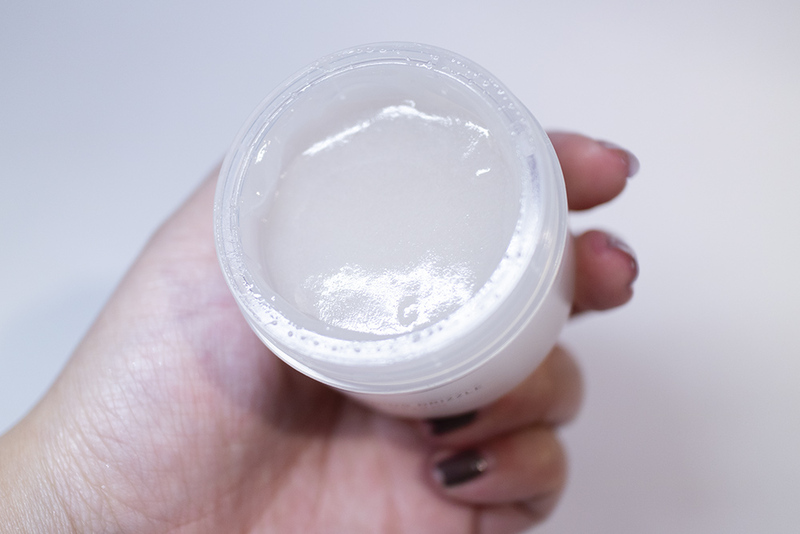 As a cream, it is a nice lightweight formula, but primarily just works to hydrate. I like to use this product underneath my make up as it is very lightweight, easy and quick to use, and gives me a supple finish. However, I also feel like it is quite ‘ordinary’ and is a product that I could easily replace with something else. In fact, even just using the Bucket Mist in the morning can provide me with similar benefits. 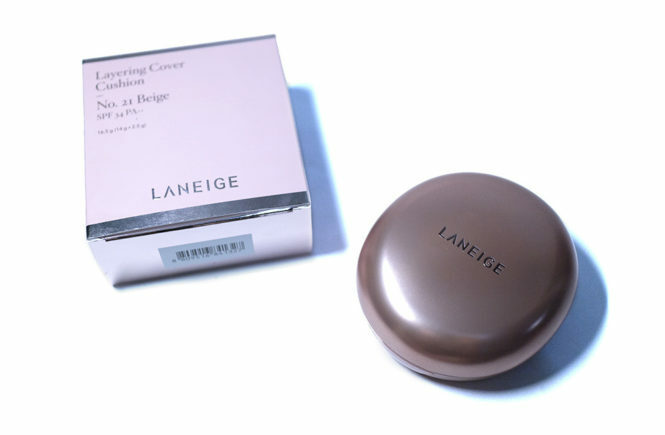 I’ll be continuing to use up this cream and would repurchase it. However, I am also interested to try out more different products first to see if I can find something that does more for my skin than just hydrate. THOUGHTS? I am not exactly disappointed by this product, I just don’t think I am exceptionally blown away by it. If you have sensitive skin and you want something that is simple to use in the mornings, then you could check this out. However, for the price point is AUD$32.95, I would instead recommend the Benton Cacao Moist and Mild Cream, which is selling on Style Story for just AUD$19.95 (and is still cheaper at the full price of AUD$24.95). 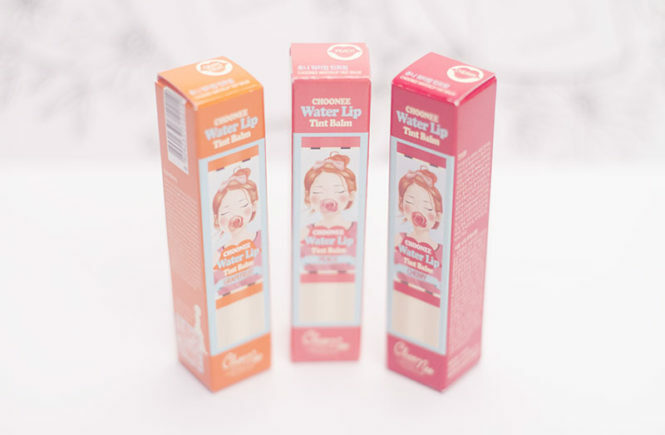 It is easier to apply as it is in a tube form and less likely to drip, and it has a similar lightweight water-gel texture (and the added benefit of a yummy cacao scent). 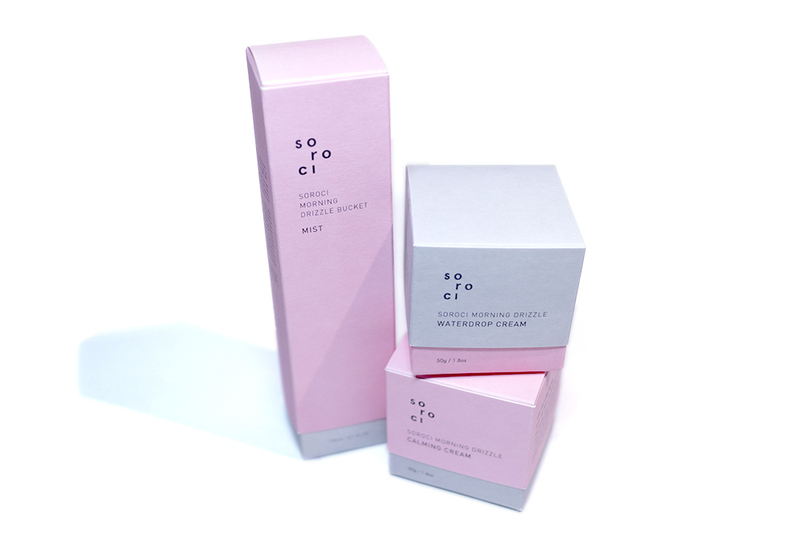 So those are my thoughts on the new Soroci products! Did anything catch your eye? I definitely love their Calming Cream and I find the Bucket Mist nice to use too, though the Waterdrop Cream was average and didn’t blow me away. Still, if you’d like to check any of these products out, jump onto Style Story which you can also get free shipping within Australia for all orders over AUD$80!